Sony knows how to put on a show. 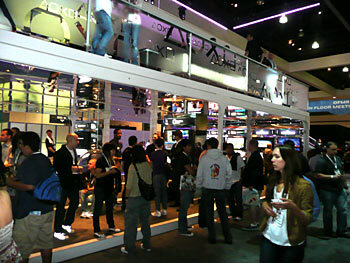 Their massive booth exuded style and grace, while entertaining like no one else with a collection of quality software that kept the HD monitors occupied from morning to night. We especially liked the wonderful organization and the amount of personal attention they gave to us to ensure we got to see the ins and outs of all they had to offer. The Big N had quite the centerpiece jewel in the west pavilion. 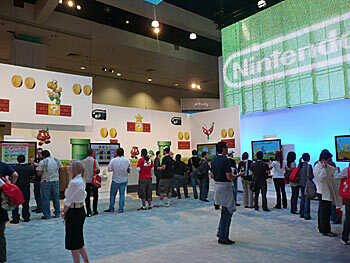 Sporting massive screens, brilliant light shows, pristine white d�cor, and vibrant games that typify the company, Nintendo sure was one beautiful exhibitor. 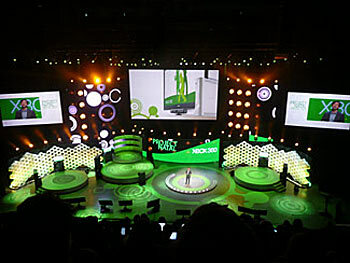 Once again Microsoft pulled out all the stops at E3. They get the party started on the right foot, flaunting loads of excellent exclusives and future hardware and interface upgrades that seem to have rejuvenated their console. Never once did we yawn - there was just too much great stuff on offer.